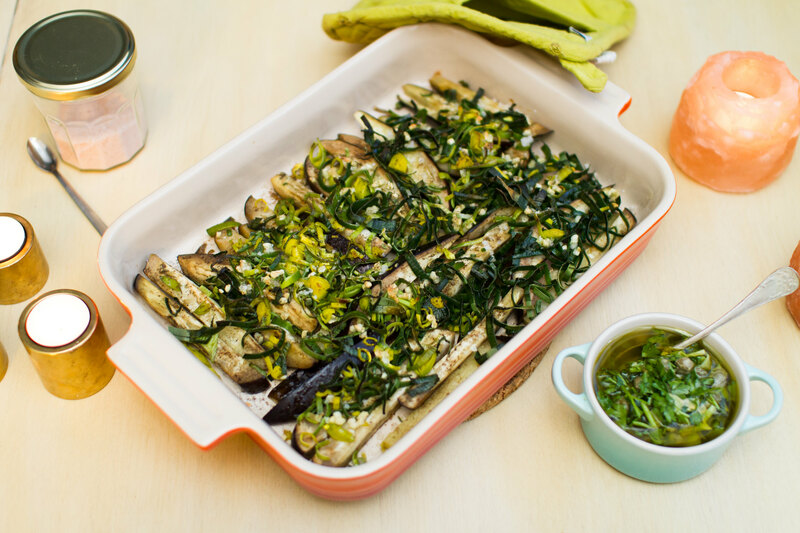 Aubergine, or eggplant, is a vegetable that we really enjoy having and I think the meaty texture of it makes it fun to work with. For this dish, I was just inspired by the color green! Leek, capers and fresh parsley together with dijon mustard for some sparkly taste..
Aubergine pan coming out of the oven. 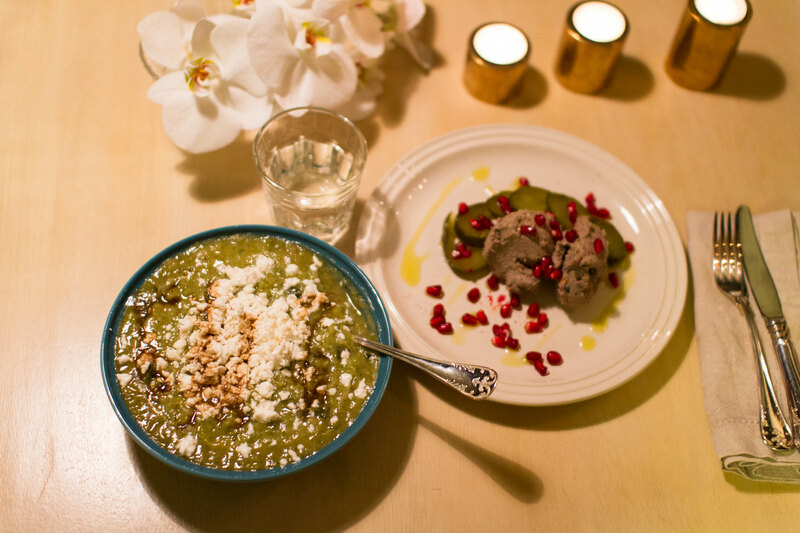 Find the recipe for the dressing below! All the main ingredients for the dish. 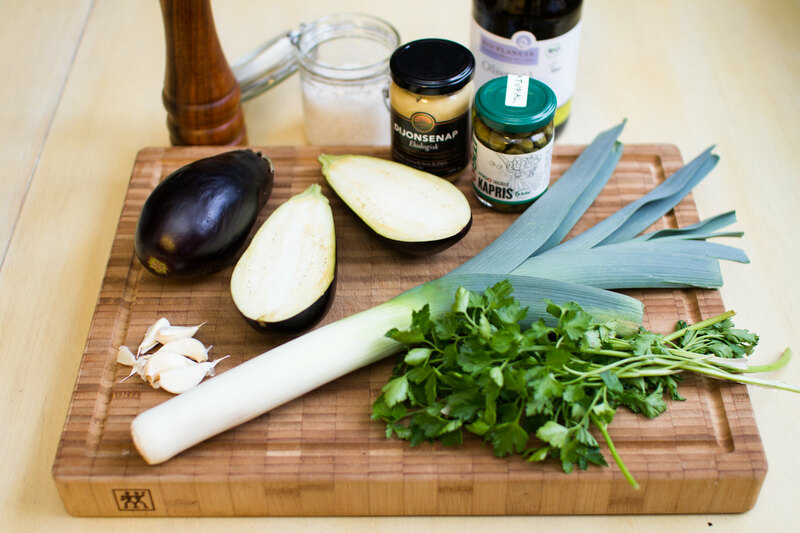 The aubergine was simply cut into staves adding chopped leek and squeezed garlic on top and seasoned with salt and pepper. Before going into the oven at about 175°C some melted lard was poured over. 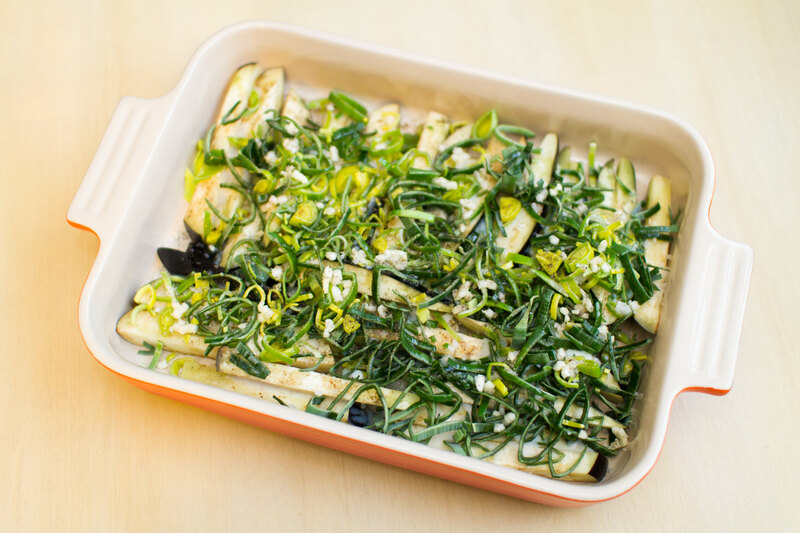 Aubergine pan covered with leek and garlic before going into the oven. 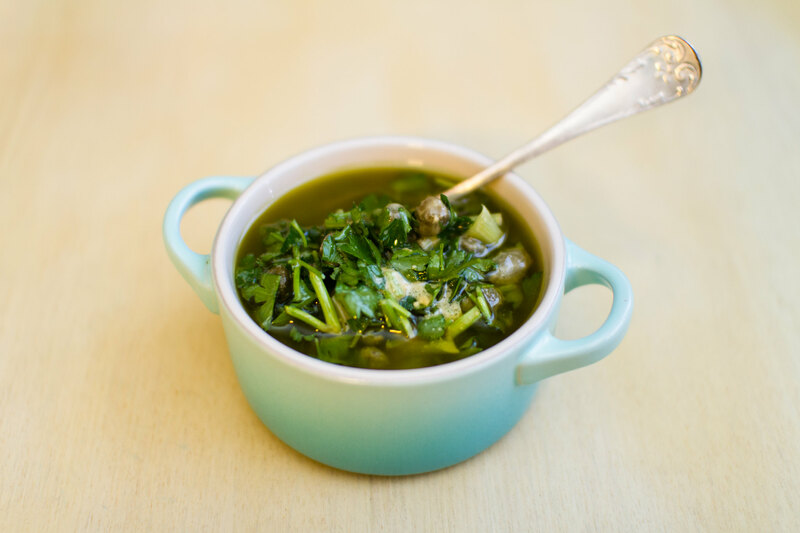 Chop the parsley and add the rest of the ingredients to taste. Capers and fresh parsley dressing with dijon mustard. The dressing complemented the soft aubergine very good and was making the dish very interesting. 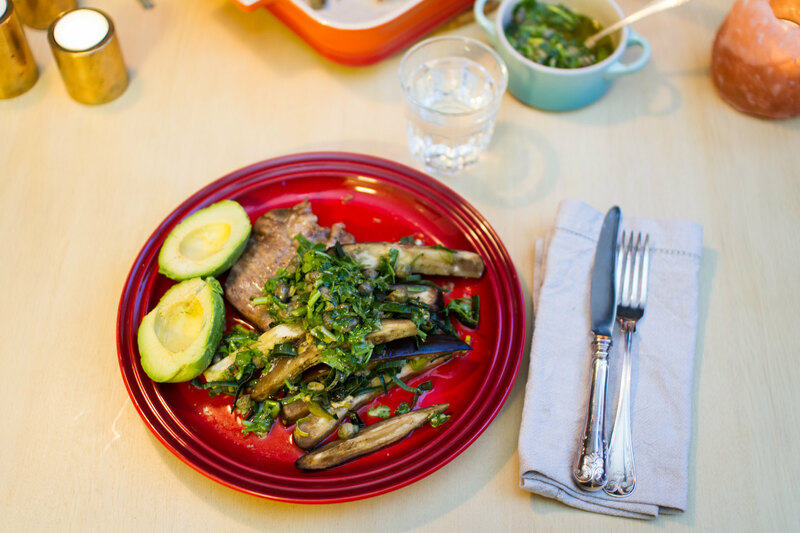 A piece of pork loin and avocado was served with it, but I would say almost any protein would work very well to it. Dinner with aubergine and dressing on top. Recently there was campaign on this pretty leek in our store, so we bought a few of them. And of course, one of them had to be used with our favorite meat, the oxtail, in a stew! 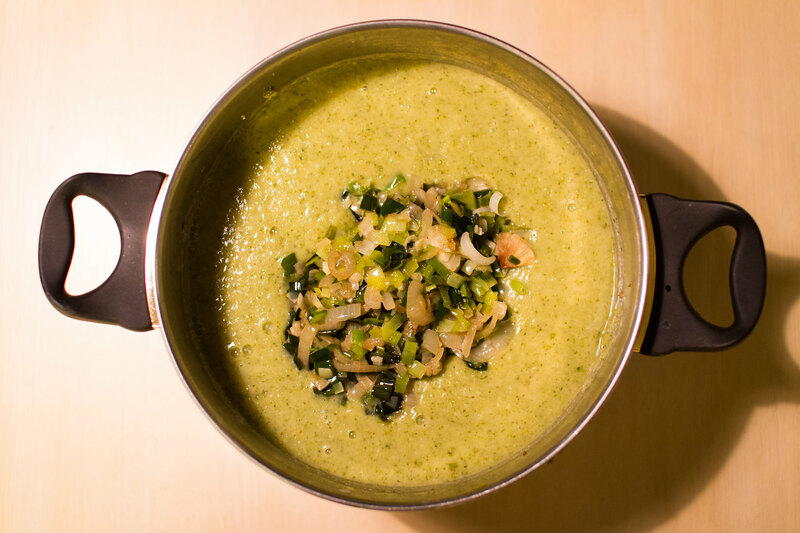 A simple one with only allspice and bay leaves as seasoning together with the leek and a red onion. 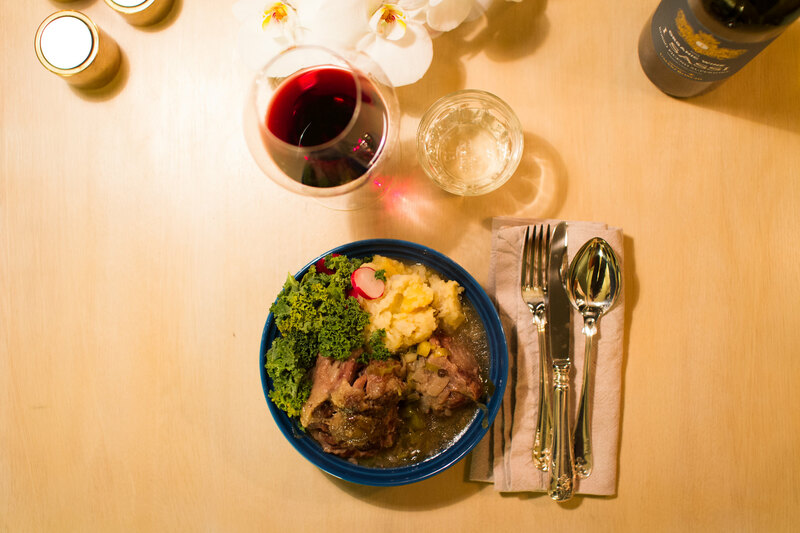 Oxtail stew with mashed turnip and swede. The stew was served with kale, radishes and a mash of turnip and swede. 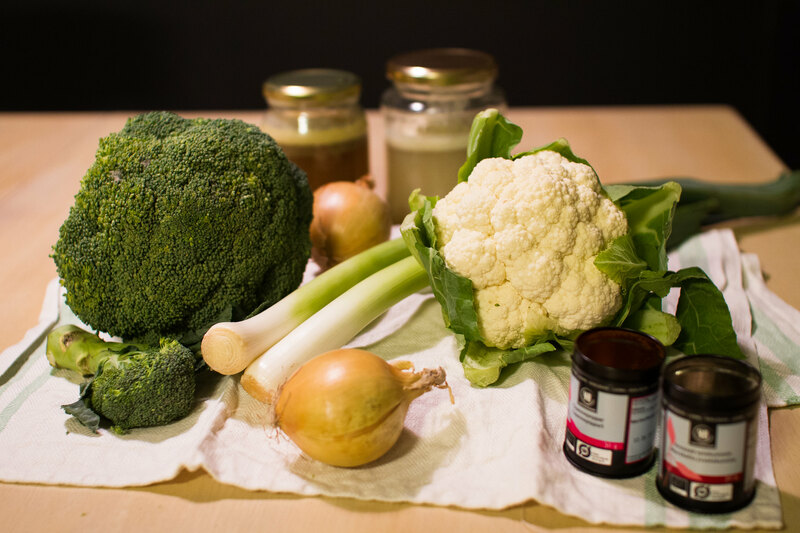 Vegetables of the season! 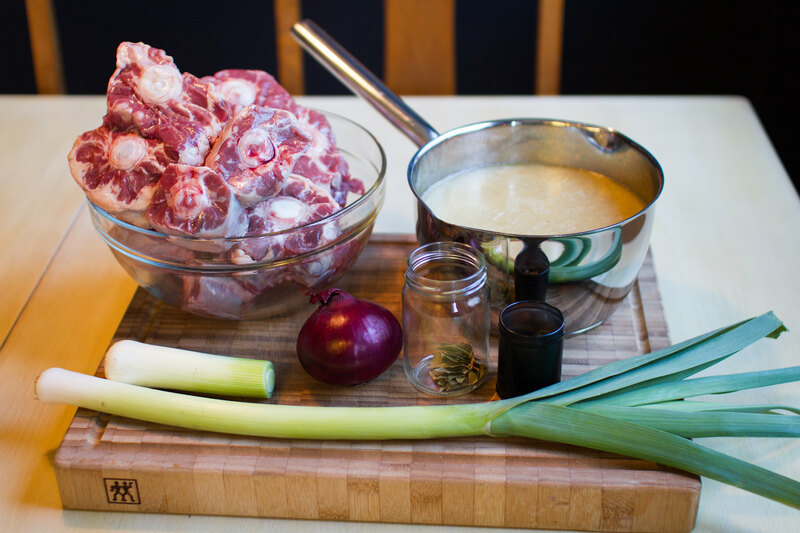 Ingredients used in the oxtail stew. Chop the leek and onion and fry them until soft in the pot. Add the oxtail and cover with bone broth + water if needed. Grind the allspice in the mortar if you have whole seeds and add together with a few bay leaves and salt and pepper in the pot. Let it boil for about 30 minutes and then rest in the Wonderbag for at least 5 hours, or leave it to simmer on the stove top. Let it boil a couple of minutes on the stove top before serving. Oxtail stew coming out of the Wonderbag. 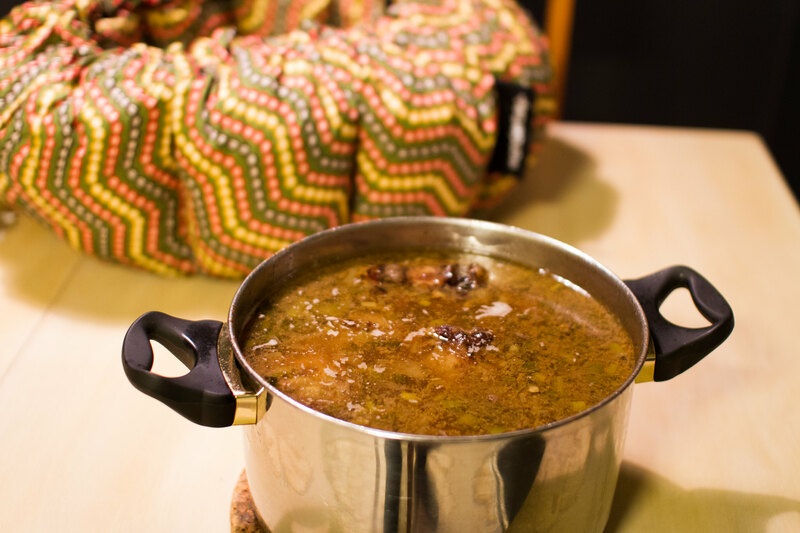 The bone broth we used in this stew was freshly made in the Wonderbag just before. The Wonderbag really have a hard time during our weekends! 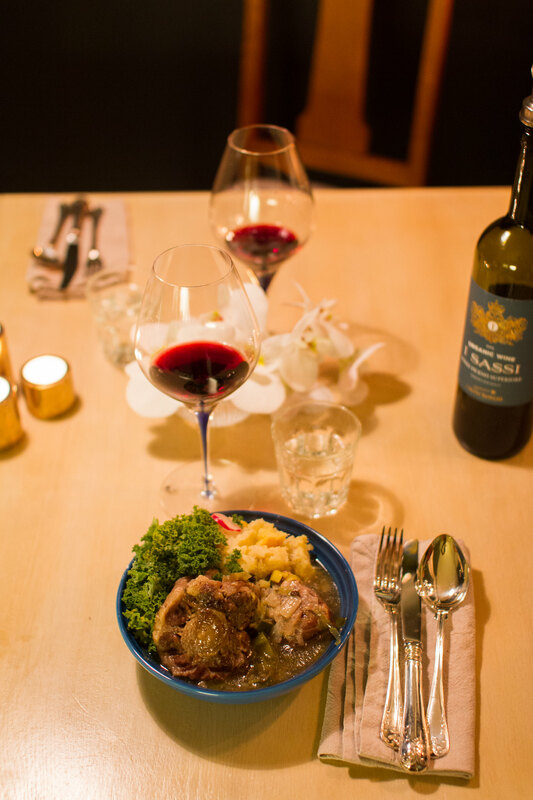 Paleo dinner with oxtail stew and red wine. A nice Italian red wine was enjoyed to the dinner as well.